The box contains five full size bottles of Indie brand polishes one each from Turtle Tootsie, 77 Nail Lacquer, Cupcake, Bear Pawlish and Glisten & Glow. You'll notice the box is meant to be satirical, especially with the clever names they've come up with! There is a surprise in the box but I've been sworn to secrecy! Ok ok - it's a special chocolate but I can't say more than that! The box will be available for pre-sale beginning at 9am Central on January 3rd and goes through the 17th at Turtle Tootsie Polishes. It's Not Me, It's YOU! 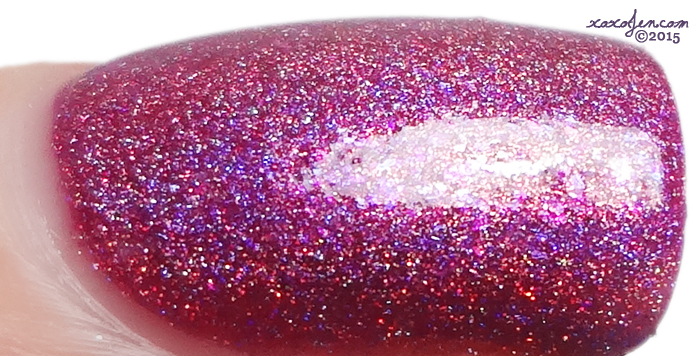 is a berry pink linear holo with teeeeeny iridescent flakes inside. It's quite unique in my collection and this is the first time I've tried Turtle Tootsie polishes. Color me impressed! I wore two coats and topcoat, formula was smooth and easy to control. I Love You, Not! 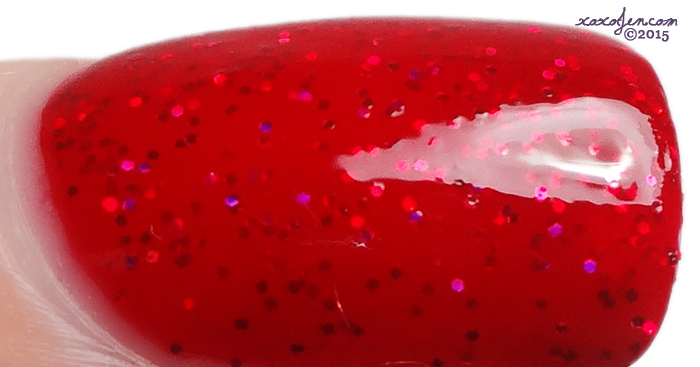 is a super squishy red jelly that deepens a bit with the second coat. It's packed full of iridescent and holographic microglitter. 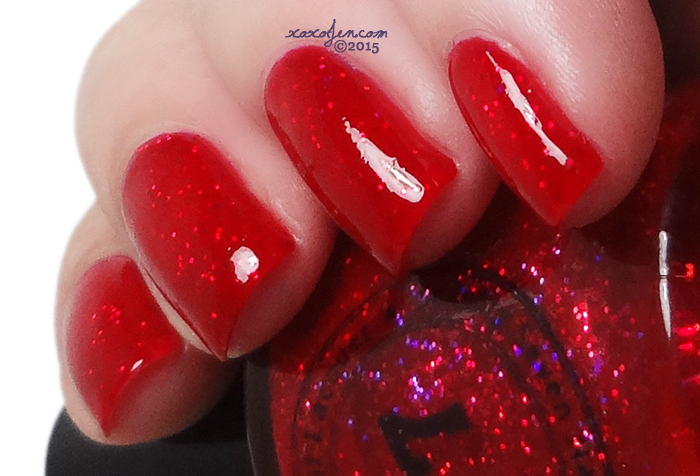 Red polishes typically freak my camera out and this is the case here - it needs to be seen in person to see its full beauty. I wore two coats, formula is thick but manageable if the first coat is allowed to dry before the second. 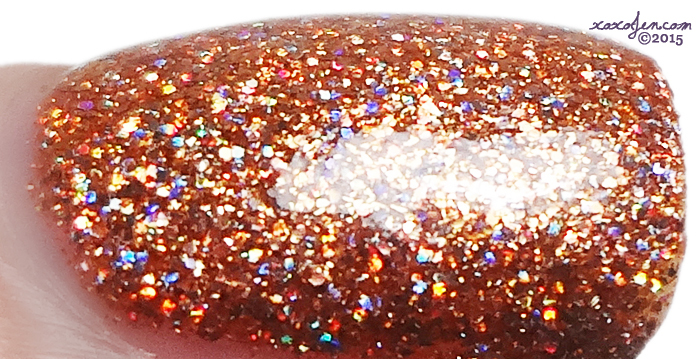 I Bought It Myself is a coppery colored jelly packed full of golden holo microglitters. 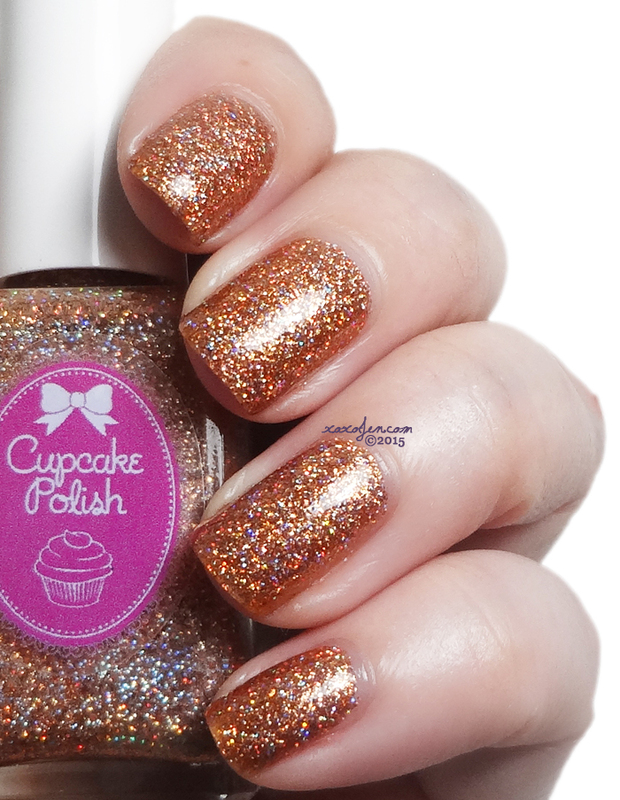 The end result is a coppery super sparkly nail polish! 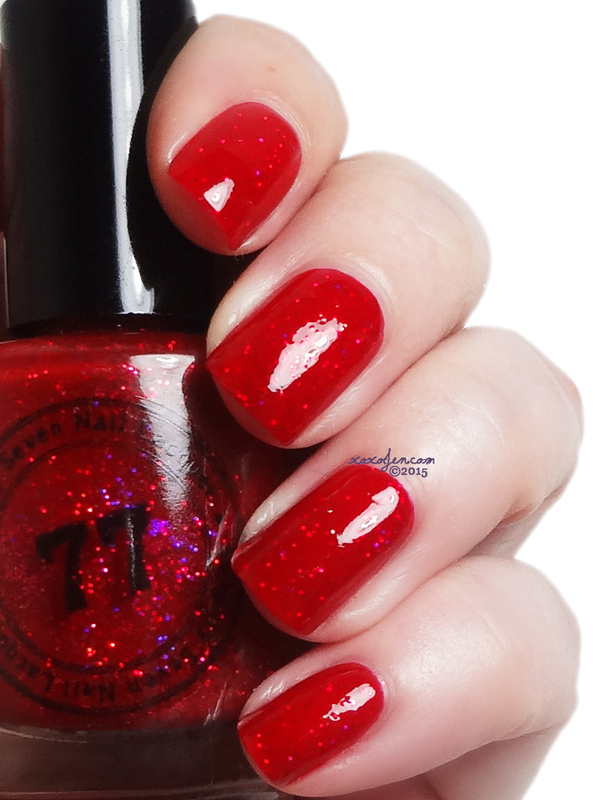 I wore two coats and topcoat, formula was easy to apply and fairly smooth for a microglitter. 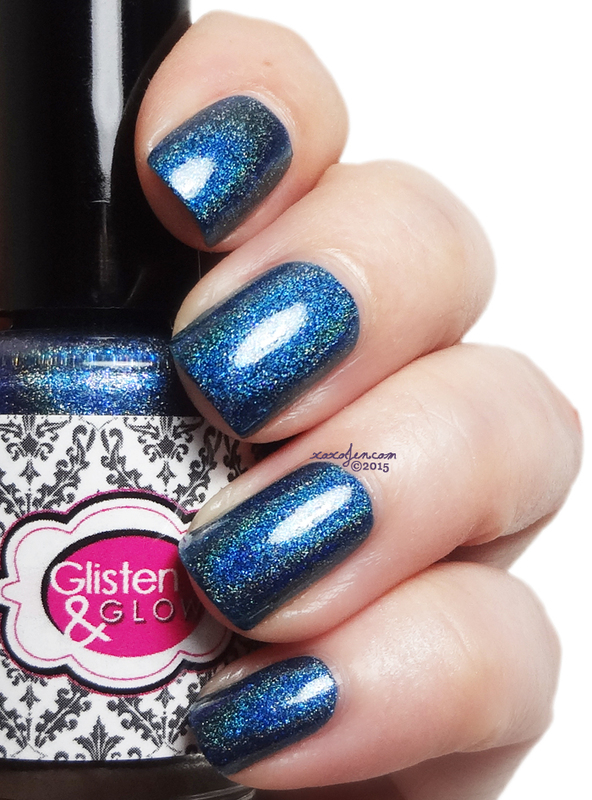 Single and Ready to Mingle is a denim-like shade of blue with a vibrant linear holo rainbow. I found the formula to be great and wore 2 coats with topcoat. Table For One is a charcoal jelly filled with tiny holo glitters. The jelly darkens to black as it's layered in two coats. As with other Bears I've tried, the formula is smooth and easy to apply. Do you have a favorite? 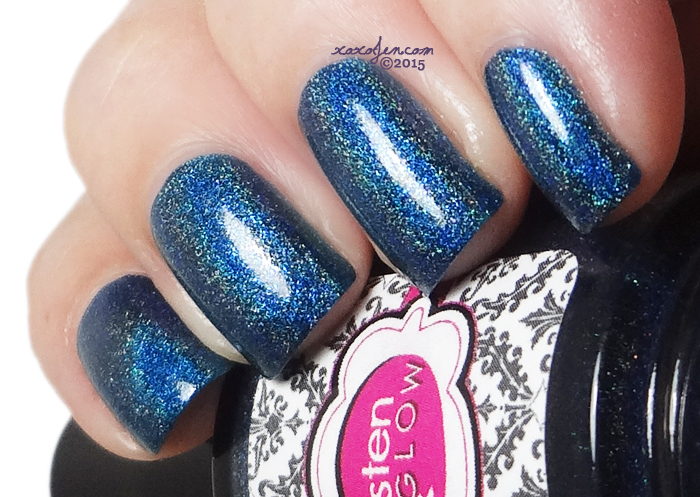 Do you want #ALLTHEPOLISH ? Some great colors in this collab box. Happy New Year to you too.